ALL TYPES OF CHARGES are to be filed, with ROC within 30 days of its creation. · Within 30 days of Creation of Charge. If Company fails to file within 30 days? 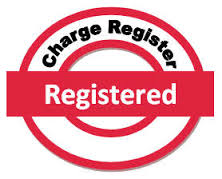 If Company fails to file CHG_1 within 30 days of creation of charge then Registrar of Companies may allow such registration to be made within a period of 300 days of such creation on payment of such additional fees as may be prescribed. If Company fails to file within 300 days? If company fails to file within 300 days then company shall seek 1extension of time in accordance with section 87 from the Central Government. A Company shall give intimation to the Registrar in the prescribed form, of the payment of satisfaction in full of any charge registered under this chapter within a period of 30 days from the date of such payment or satisfaction. If company fails to file within 30 days then company shall seek 2extension of time in accordance with section 87 from the Central Government by filing application in CHG_8. Process for Approval of 3Central Government (Regional Director) where the instrument creating or modifying a charge is not filed within a period of 300 days from the date of its creation or modification and where the satisfaction of the charge is not filed within 30 days from the date on which such payment of satisfaction. If there is delay in filing form CHG_1 or CHG_9 and CHG_4 a petition for condonation of delay has to be filed with concerned Regional Director, Ministry of Corporate Affairs. The due dates for filing of above forms are discussed above. 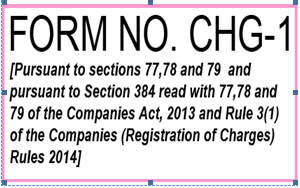 The Company will file form CHG_1/9/4 with additional fees for delay in filing of form. However, a remark will appear in the challan that a delay of filing is of so many days and condonation of delay is required. a) Company will call a Board Meeting as per Secretarial Standard_1 and pass a Board Resolution to authorization to any director of the Company to file petition along with relevant documents with Regional Director. b) Authorizing the engaging of a company secretary / chartered accountant / cost accountant in practice or some other professional and to authorizing a director/s and/or secretary to sign a petition, application, affidavit, etc., which is to be presented to the Regional Director? · Interim order if any prayed for. · Certified true copy of Memorandum of Association & Article of Association. · CTC of Balance-Sheet along with all annexure as on 31.03.2014. · True copy of Board Resolution Dated 07 /05/2015 for authorization of Director/Professional. These petitions with the relevant annexure should be file with ROC in e-form CHG_8. But at present CHG_8 is physical forms so the same should be file with ROC in form GNL_2 as an attachment. 2. Form RD _2– once the GNL_2 filed, then the company has to file RD_2 form with MCA. After filing of above mentioned form Regional Director will call for hearing in the matter. In the hearing regional director will levy additional fees for Condonation of delay. Company will pay as directed by RD in miscellaneous payment with reference of Form CHG_1/4/9 SRN number. Company has to file such RD order in INC_28 form within 30 days. 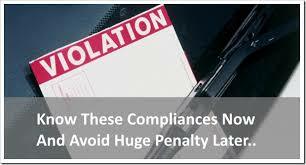 Company will file CHG-1/4/9 relevant form with additional fees. Calling of Board Meeting for passing of following resolutions. Hearing in the office of Regional Director. While filing INC-28, MCA will show a remark to file the original order with ROC.